Coming in 2019 – CodeScholar Software Development Training! CodeScholar is a new type of software development training specifically for educators and self-educators. Coming in 2019 from ComeauSoftware.com and OcalaITPros.com. A simple Google search turns up hundreds of options for learning programming, many free, but where do you start? There are many excellent reference sites and YouTube channels out there but many focus on the mechanics of a single language without explaining the broader concepts and best practices. Many are written by developers for (aspiring) developers and might leave you with a sink-or-swim feeling as you pick your way through incomplete answers and abandoned message threads that don’t quite apply. As a programming instructor, I’ve spent the last couple of years searching the web for the best resources I could find for my students as they struggled to understand concepts such as database normalization and object-oriented programming. A textbook or two and classroom lectures are not enough when you’re trying to reach a variety of students from different backgrounds. Seemingly limitless online resources become very limited when it comes to information on a less popular topic such as pass-through queries or deadlocking and you’re trying to find something that will provide enough detail but won’t utterly confuse the students or cause then to tune out from boredom. This entry was posted in Programming, Software and tagged CodeScholar on December 21, 2018 by Andrew Comeau. XAMPP is one of many AMP software stacks (Apache – MySQL – PHP) that can be used to create a local web development environment for design and testing. It automatically installs and configures Apache as a web server so that you can view your pages through http://localhost, MySQL as a database server for website data and PHP to render any PHP code within your pages. Once you have XAMPP installed, you can install WordPress or other content management systems locally so that you can easily develop and test your web content and programming before uploading it to the web or an intranet. I also use WordPress as a local CMS for organizing my own content. Setting up XAMPP and WordPress takes as little as 10 minutes and can be done either on your hard drive or a USB flash drive as I show in this video. The flash drive option is a little slower but it is easily portable between systems as XAMPP runs entirely from the directory it’s installed to. This entry was posted in Software, Web Design on November 26, 2018 by Andrew Comeau. A few months ago, I wrote about how to install MySQL on Windows with IIS. Now I want to show you how to create an AMP web programming stack (Apache, MySQL & PHP) on Mac OS X. As with Windows, you could just go with a ready-made development environment like MAMP but, if you’re going to be doing real database and web design work with MySQL, it’s best to know how everything works. For this demonstration, I’m going to be using Mac OS X El Capitan (v.10.11), the latest version as of this writing. My installation environment is a hosted Mac server with 1 GB of RAM and 40 GB of disk space. I will be demonstrating the process using the Terminal commands. Unlike Windows, OS X already includes the Apache web server and PHP language pre-installed so it’s a much simpler process to ensure that everything is working together. 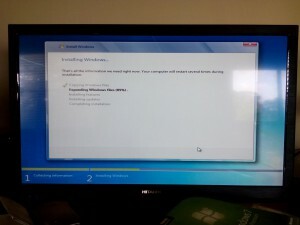 You will need root access in order to install and configure the components. This entry was posted in Database Design, Software on February 23, 2016 by Andrew Comeau. Virtual machines enable the user to run multiple guest systems on the same computer. 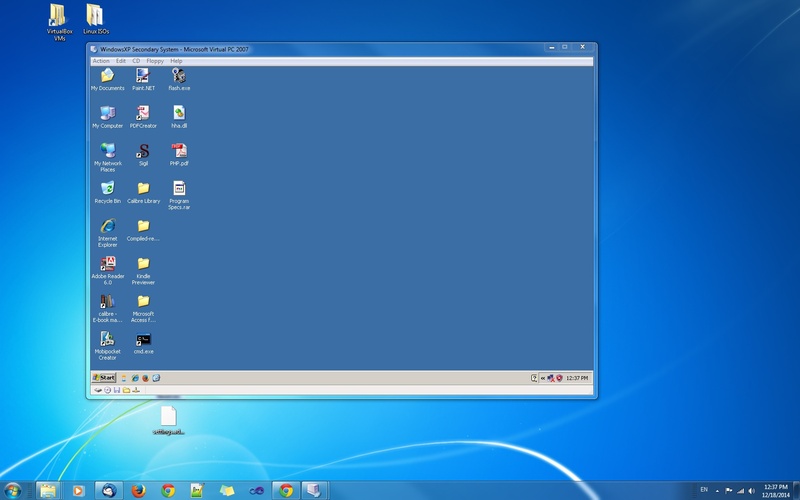 This image shows a virtual machine with Windows XP installed, , referred to as the guest system, running on a Windows 7 host machine. Several years ago, I wrote an article for this site about Microsoft Virtual PC, Microsoft’s implementation of virtualization technology for the Windows desktop. Virtualization software enables a computer to act as a host, running multiple computer sessions with different operating systems for the purpose of testing software, isolating specific programs from the rest of the software on the host machine or maintaining older operating systems as needed after an upgrade. 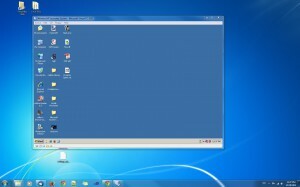 Virtual PC was a somewhat simplified virtualization software which officially supported various versions of DOS and Windows and made the virtualization concept a little more accessible to the average user. With the release of Windows 8, it was succeeded by Hyper-V on machines with the necessary hardware requirements and Windows 8 editions. This entry was posted in How-to, Software and tagged Virtualization on December 18, 2014 by Andrew Comeau. One of the many advantages of carrying an all-in-one device like a smartphone is the ability to record notes to myself, whether it’s short reminders or dictation of study notes. A device with some storage space can even store longer recordings including lectures and meetings. The old micro-cassette recorders and other voice recording technologies have easily been made obsolete by the near-ubiquitous recording features of the current generation of phones. The only drawback for me was the AMR format that is standard with Android sound recording apps. If I’m going to be recording, I want to use the standard MP3 format that can be played on pretty much whatever device or software I’m using and can be recorded in various bit rates to balance the need for quality against the length of the recording and the space available. After comparing a few apps, I settled on the Hi-Q MP3 Recorder from Yuku. This entry was posted in Personal Tech, Reviews, Software and tagged Android, MP3 on June 6, 2014 by Andrew Comeau. This post has been moved to ComeauSoftware.com. Click here if you’re not automatically redirected. This entry was posted in Resources, Software on January 3, 2014 by Andrew Comeau.